1. Your Website with a unique web link. 2. 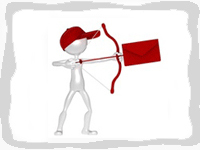 Email through the BariMD email campaign system. 3. Print Friendly for your waiting room and exam rooms. Three delivery methods to help ensure they get your newsletter.